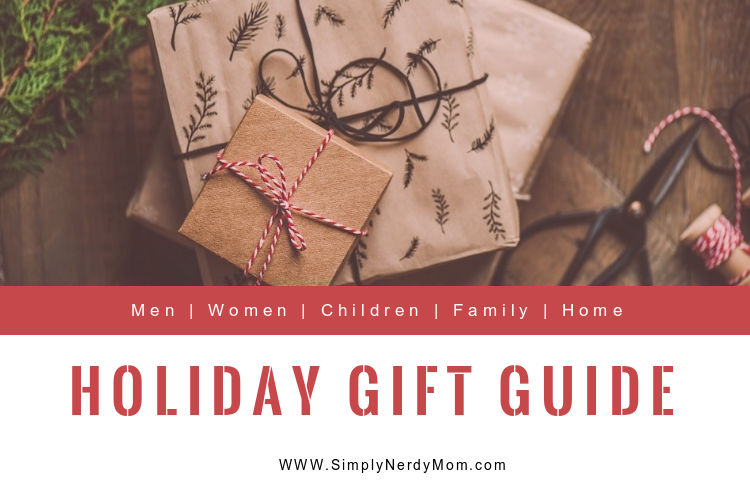 Simply Nerdy Mom: NEW Purex Powershot and GIVEAWAY! NEW Purex Powershot and GIVEAWAY! 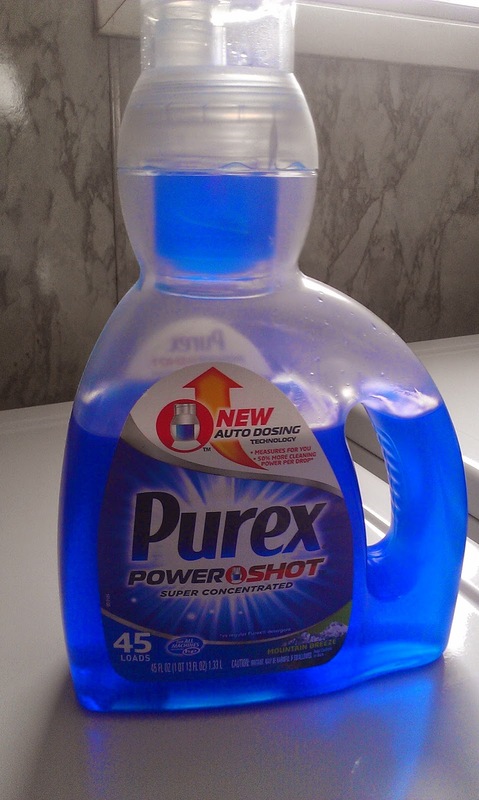 You are going to love new Purex Powershot super concentrated laundry detergent! 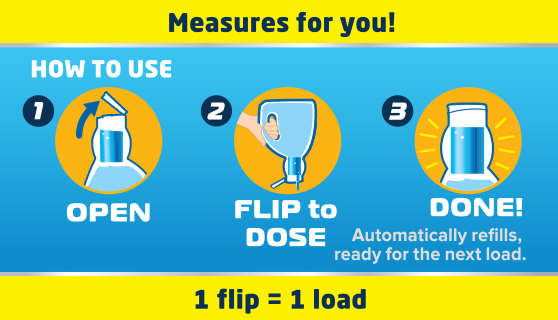 It's the only detergent that does the measuring for you Just flip open the cap, turn the bottle upside down, dose, and you're done! Once you flip it right side up again, it's automatically ready for the next time. It really is that simple! It dispenses just the right amount of the super concentrated formula with 50% more stain fighting power in every drop. One dose takes care of regular loads and if you have larger or heavier loads, just use two doses! 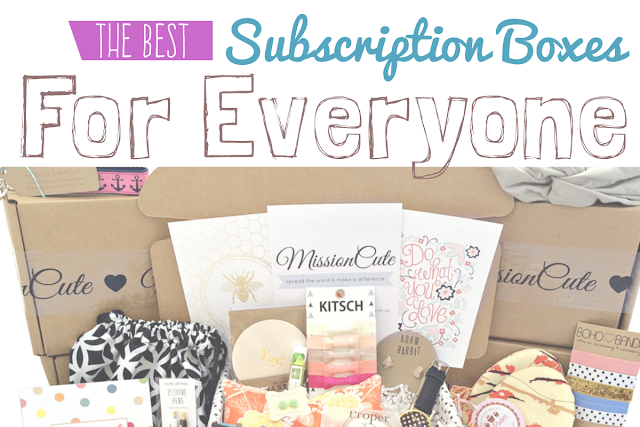 There's no waste and you get the perfect amount each and every time. It comes in two great fragrances, Mountain Breeze and Natural Elements Linen & Lilies. As a mom, the best thing about Purex Powershot is that I no longer have to worry about over pouring my detergent while I'm trying to keep an eye on my toddler and my 8 year old can help me do laundry without me having to worry about her putting way too much detergent in the washer. Because I love you guys so much, I'm giving away a coupon for a free bottle of new Purex Powershot! Enter below! I wan to try the Natural Elements Linen & Lilies Powershot scent! Thanks girl! I would LOVE to try the Natural Elements Linen & Lilies! Mountain Breeze, leaves sheets smelling nice. I would choose linens and lillies. I would choose the mountain breeze scent. That would really be a fresh smell! I would try mountain breeze! Oh I would love to try the Mountain Breeze! I would love to try the Mountain Breeze!